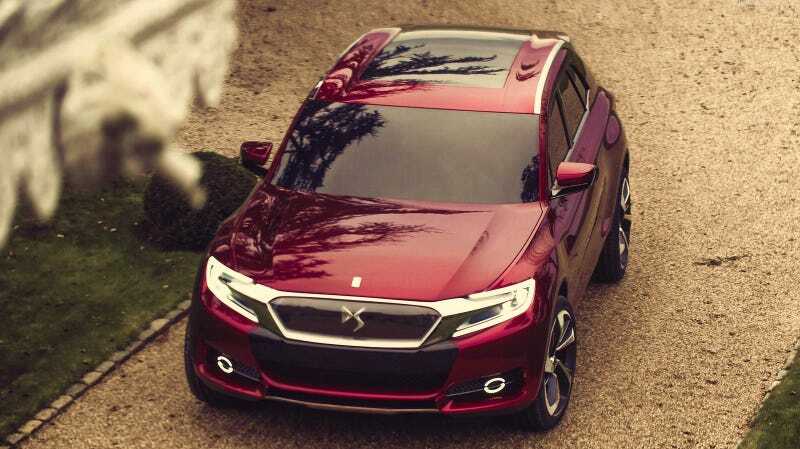 In a shockingly unexpected twist, Citroën has told Autocar that their future DS SUV hinted at by the DS Wild Rubis concept (and to be called DSX7, apparently, which is a really crappy name) would most likely be sold in Europe as well as in China. Yeah, no one saw that one coming. I don't know why, but I'm really glad about that. I don't even like SUVs, but I guess I was a bit worried that China would get all the attention from Citroën. If you ask me, I think the DS sub-brand is making some of the best French cars in decades (the DS3 is stylish and sporty, the DS4 is very elegant, and the DS5 is absolutely gorgeous inside and out) and I really want all of them to be sold in France so that I can see them on the streets. Read more about future DSs here.